Water brush is a must-have tool if you are working with watercolor or hand lettering. 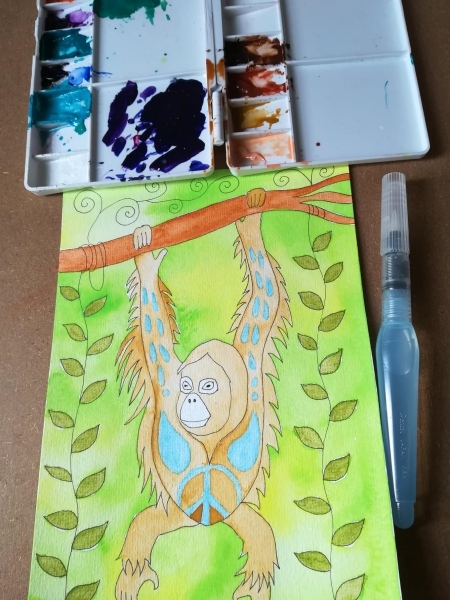 I have been using water brushes for the past couple of years and they are one of my favorite art tools! 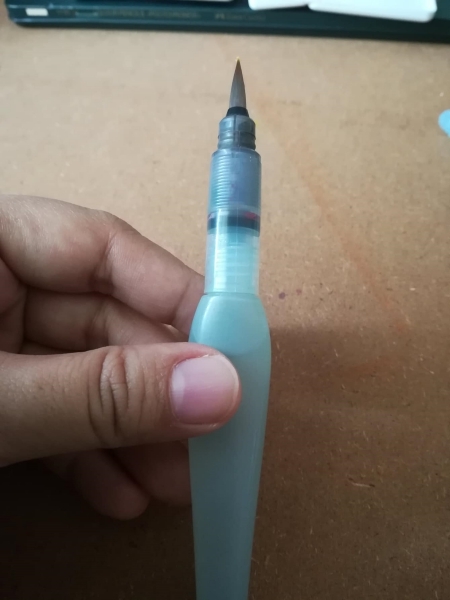 In this post, I am going to write a brief review of Pentel Aquash Waterbrush. What is a water brush? 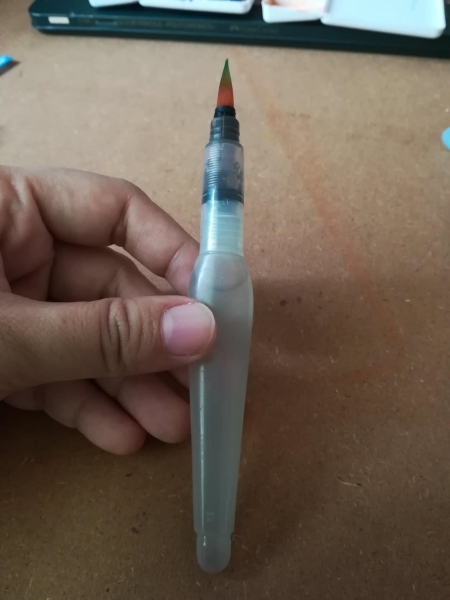 A water brush is a nylon tip brush with a hollow section on the handle to hold clean water/paint/ink. It’s like a regular brush except for that special barrel on the handle. If you are working with watercolor, it can be a hassle if you want to sketch outdoor or while you are traveling. 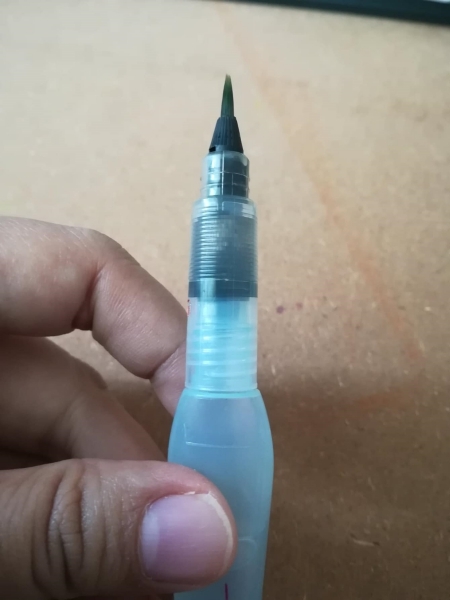 This brush eliminates the need for you to have a separate container to hold the water/ink. All you have to do is to fill the hollow barrel with water or ink and voila you are good to go. Just squeeze the barrel slightly so the water/ink can flow to the tip to moisten your brush. 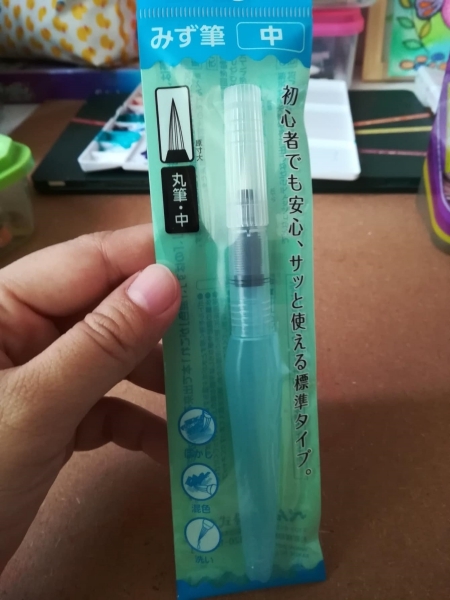 The water brush comes in clear packaging with Japanese text like below OR in cardboard packaging with English text. I believe the former was exported directly from Japan and the latter was produced elsewhere for the international market. However, apart from the packaging, it’s still the same brush with the same quality. Pentel Aquash Waterbrush has two types – round brush and flat brush. Each type has 3 different sizes; small, medium, and large. I never use the flat brush though. 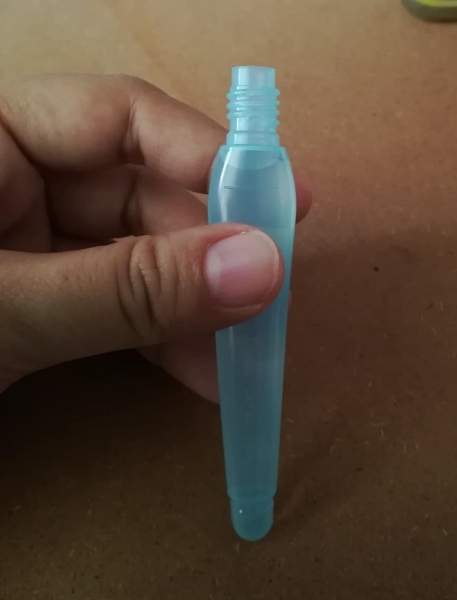 Unscrew the tip to fill the barrel with water/ink. It’s portable and eliminates the need to carry an extra water container. Easy to use. All you need to do is to fill the barrel with water or ink and that’s it! Easy to clean. Unscrew the tip to remove the water and wash the brush under running water. It might be hard to control the water flow especially if you are a watercolor beginner. However, I have used a couple of generic water brush from China with terrible water flow. Water literally gushed out even with a slight squeeze. I didn’t experience that with Pentel water brush and the brush stays moist even without squeezing the barrel. The bristles get stained after your first use and it will stay that way even after washing. However, fret not because it will not affect your next painting. Here’s my unfinished mini painting sketched using Pentel Aquash Waterbrush.